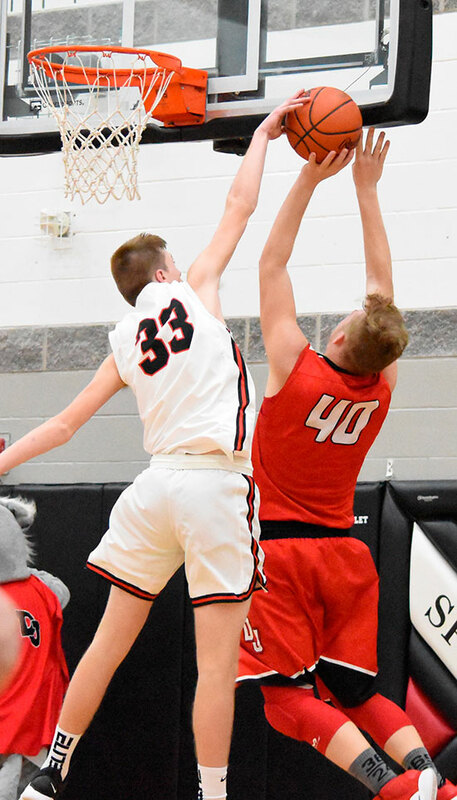 SPENCERVILLE — Jefferson held off a fourth-quarter rally Friday night to defeat Spencerville 46-39. 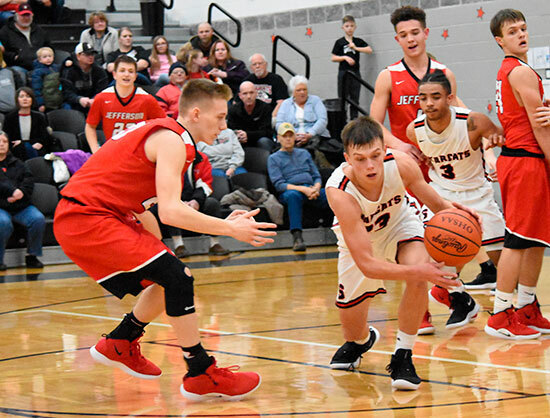 Doug Long Jr. led the way for the Wildcats with 18 points and Ian Wannemacher added 10 en route to their first conference win of the season. 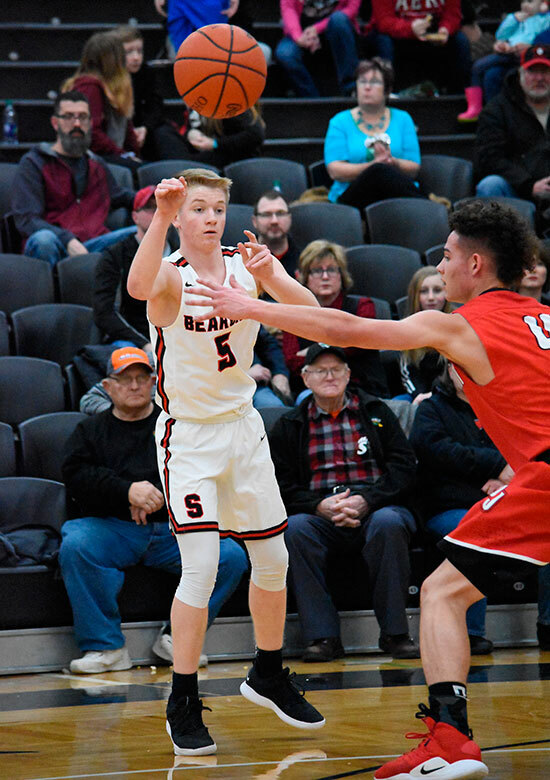 The Bearcats jumped out to an early lead with help from Luke Falke. His three helped lift Spencerville to a 7-4 advantage. 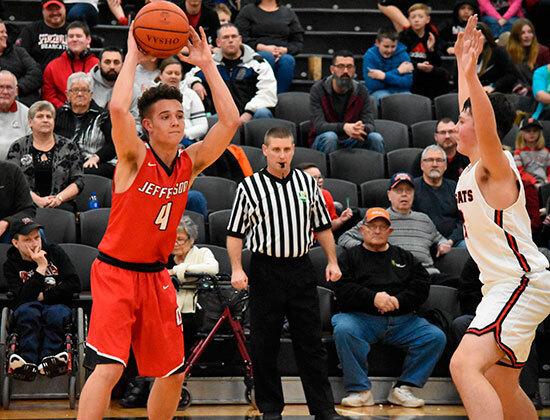 Jefferson bounced back with a three-point play by Long to tie the game at seven and a three by Logan Herron gave them a 10-9 lead with :30 to go. Hunter Mericle nailed a triple as time ran out to give the Wildcats a slim 13-12 advantage after one. A low-scoring second quarter kept the game tight. Wannemacher hit a jumper in the closing minutes of the first half as Jefferson headed to the locker room with an 18-14 lead. Long and Ashton Moore each hit a pair of baskets as the Cats turned up the heat in the third quarter. Wannemacher hit another bucket late in the period to extend the Jefferson lead to 29-19. 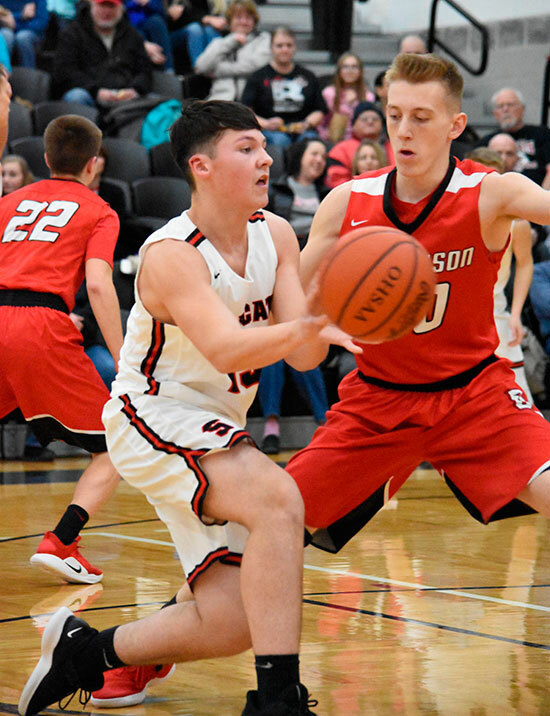 Jackson Goecke sank a three to open the fourth quarter, and followed up later with another jump shot to cut the lead down to 29-24. 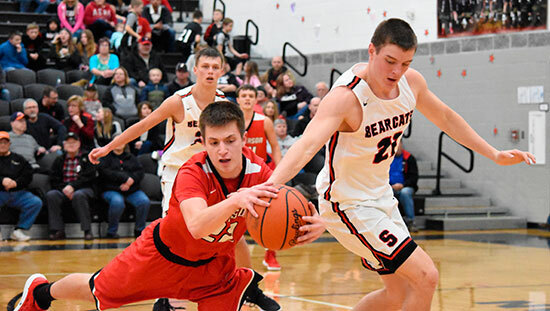 A three-pointer by Petton Brown kept the Bearcats in the game but the Cats were too much for Spencerville. Long helped seal the game by going 5-for-5 from the charity stripe in the final 8:00. 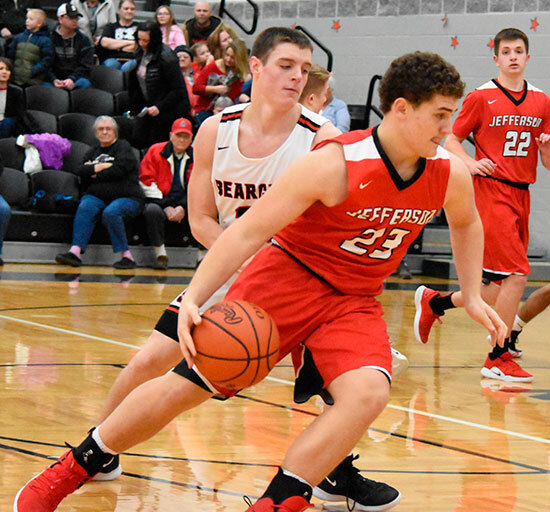 Kale Lee and Jackson Goecke both hit triples but Jefferson hung on for a 46-39 victory over conference rival Spencerville. 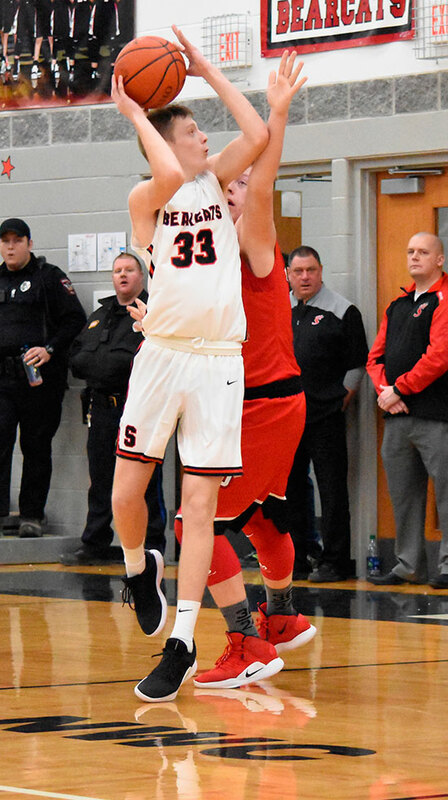 The Wildcats improve to 3-15 (1-5 NWC) while Spencerville falls to 3-14 (0-6 NWC).